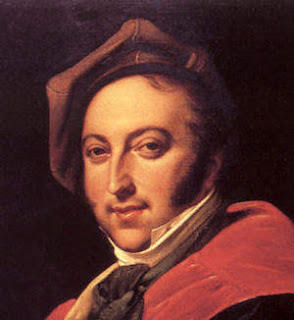 Gioachino Antonio Rossini was born in Pesaro, February 29 is a well-known composer of Italian nationality. He was born in the midst of a family that loved music. Giuseppe, his father, is a musical instrument trumpet player. His mother, Anna, was a singer. In 1805, when Rossini ewean thirteen, he appeared at the theater `s Commune in Paër Camilla. This is the first public appearance to sing. At the age of fourteen, Rossini studied cello at the Conservatorio Cavedagni, Bologna. He then studied the ability to play the cello under the guidance of Padre PS Mattei in 1807. Rossini was also a skilled trumpet player, he followed his father's footsteps. His first opera, La cambiale di matrimonio (marriage contract) is produced at Venice when he was eighteen years old. Two years earlier, he had received the award at the Bologna Conservatorio to work his choir singing, "Il Pianto Armonia sulla morte d` d `Orfeo '. Between 1810 and 1813, Rossini created a lot of opera with mixed success. All the memories of these works as if drowned by the huge success of his work, "Tancredi". "Tancredi" is an opera in two acts by composer by Rossini and poetic writer, Luigi Lechi. This opera is based on the show `Tancrède 'by Voltaire, in 1759. Composed by Rossini's first opera performed at the Teatro La Fenice on February 6, 1813. The first opera composed by Rossini is supposed to end with a cover story that happy, but he changed it to a tragic ending. In 1815, Rossini was asked by the impresario Domenico Barbaja on to become head of music and artistic Teatro San Carlo and the Teatro del Fondo at Naples. At that time he composed the song "Elisabetta, Regina d` Inghilterra "(Elizabeth, The Queen of England) for a soprano Isabella Colbran, who subsequently became his wife. Between 1815 and 1823, making twenty Rossini opera. In between all of that, "Otello" was the highlight of his operas are serious reform. During Rossini, the stories ended tragically highly disliked by the Romans, it was created end of story "Otello" is happy. In 1823, on the advice of the manager King `s Theatre, London, Rossini came to England and lived there for some time. In England, he received the award, including a meeting with King George IV. In 1824, he became director of music at the Théâtre Italien in Paris. The results of his work, "Guillaume Tell", in 1829 took him to the peak of his career as opera writer. Opera song was composed by Étienne Jouy and Hippolyte Bis, but revised by Armand Marrast. The music is remarkable because it is free from rules formulated and followed by Rossini in his works over the years. This marked the transition in the history of opera. Although it is a nice opera, opera is rarely played as a whole and more frequently cut because of the duration of the original version of this opera could reach four hours. Famous opera "Il Barbiere in Siviglia" Opera is the work of Rossini's most famous operas are performed on February 20, 1816 at the Teatro Valle in Rome. Author his poem by Cesare Sterbini. "Il barbiere in Siviglia" is the work of Rossini opera's famous and well-liked in Europe more than a quarter century. Many opinions about how quickly Rossini's opera writing. The experts generally acknowledge that Rossini wrote this opera for more than two weeks, a miracle with a few standards. Rossini admitted that he wrote the opera for 12 days. The success of the works of Rossini is a success in the world of opera. At age 37, he stopped writing operas because of illness. He and Isabella left Paris in 1837 to live in Italy where he was suffering from "neurasthenia" (mental illness with psychosomatic symptoms). After feeling healthy again, in 1855 he returned to Paris and began active again composed the tone for piano and choir. In 1868, Rossini died and was buried in Père Lachaise Cemetery, Paris.